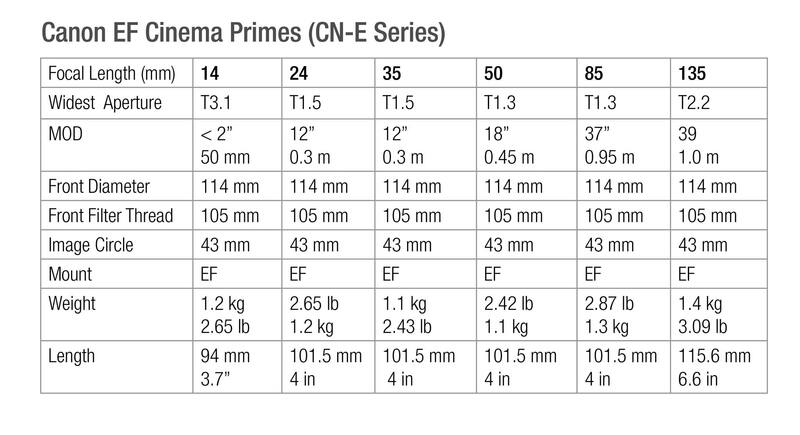 There are 6 (not 5) Canon Full Frame EF-mount Cinema CN-E Prime Lenses. The online PDF has been updated. Thanks to Chris Hurd, Mitch Glick and the many readers who pounced on this egregious omission in our growing list of Full Frame cine primes.